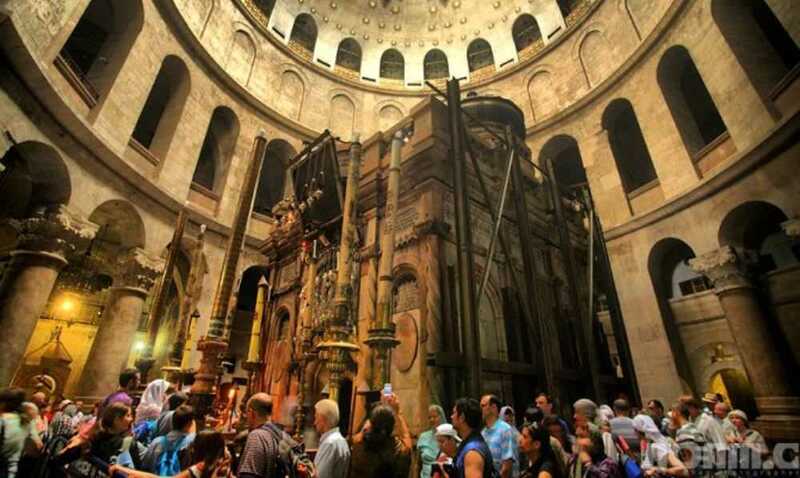 Jerusalem begins to fill up with Christian tourists as Easter approaches. Easter Sunday in 2019 falls on April 21, but special services will take place the whole week before starting on Palm Sunday, April 14 and continue until Easter Monday on April 22. Be prepared for crowds and a wonderful, meaningful experience in the city where you’ll be walking in Jesus’ final footsteps surrounded by fellow believers. 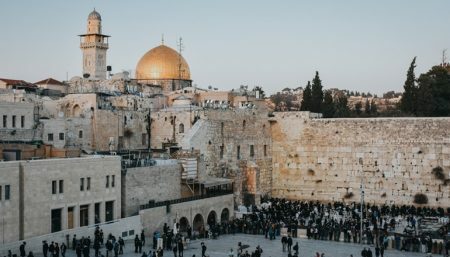 Easter in Jerusalem features an entire week of services, ceremonies and other events. Join the popular reenactment of Jesus’ Triumphal Entry into Jerusalem. Participants gather at the Church of Bethpage and begin at 2:30 pm to descend the Mount of Olives, singing hymns and bearing palm fronds. The Armenians, Copts and Syrians make three rounds around the rotunda in the Church of the Holy Sepulchre. The Palm Procession starts at 7:00 am, and the daily procession begins at 5:00 pm. The washing of the feet is a tradition in imitation of Jesus washing his disciples’ feet. For Protestants, there is a Good Friday meditative service (English) at the Garden Tomb. Late Saturday night is the Holy Fire ceremony. Thousands await the miraculous lighting of the Patriarch’s candle from within the tomb. Caution is advised since the crowds tend to be tight and there has been violence in recent years. A parade of Armenian marching bands including bagpipes and drums proceed with the Patriarch and priests to the Holy Sepulchre. The Evangelical Lutheran Church in Jordan and the Holy Land typically holds an Easter sunrise service in English at 5:30 am in the outdoor chapel at the Augusta Victorial Hospital on the Lutheran World Federation Mount of Olives campus. The service will be followed by breakfast, and a 15 NIS donation is suggested. Get the complete schedule for Easter services at both Catholic and Protestant institutions throughout the city by visiting the Christian Information Centre website. Also see an overview of the major places of worship in Jerusalem and details on how to get to Bethlehem. Looking for something to eat? Check out our listings of Jerusalem restaurants.